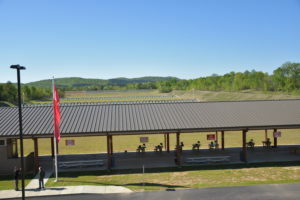 Registration for the Civilian Marksmanship Program’s (CMP) 2019 Air Rifle Summer Camp lineup is now officially open. 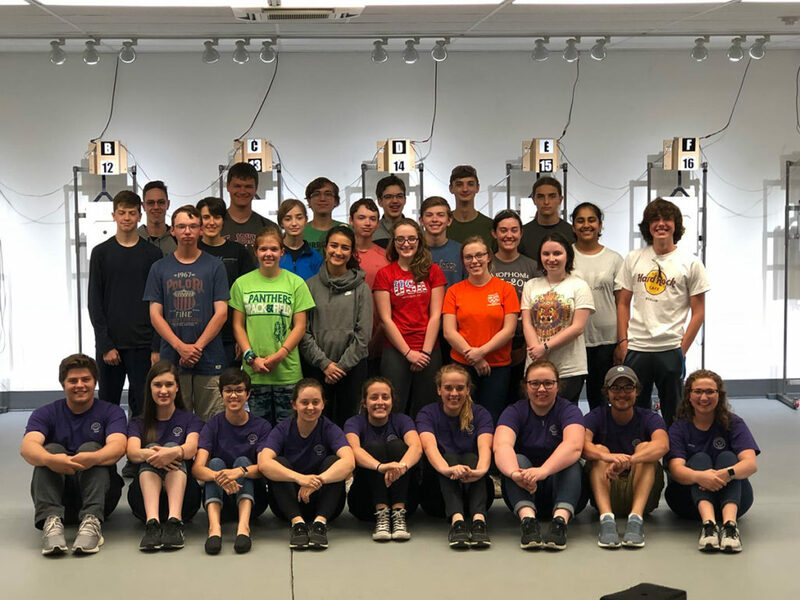 Running from June to August, the vigorous 9-week schedule includes a mix of camps and clinics formatted to train high-school age (9-12 grade) junior athletes on intermediate and advanced air rifle marksmanship skills through various exercises and demonstrations. 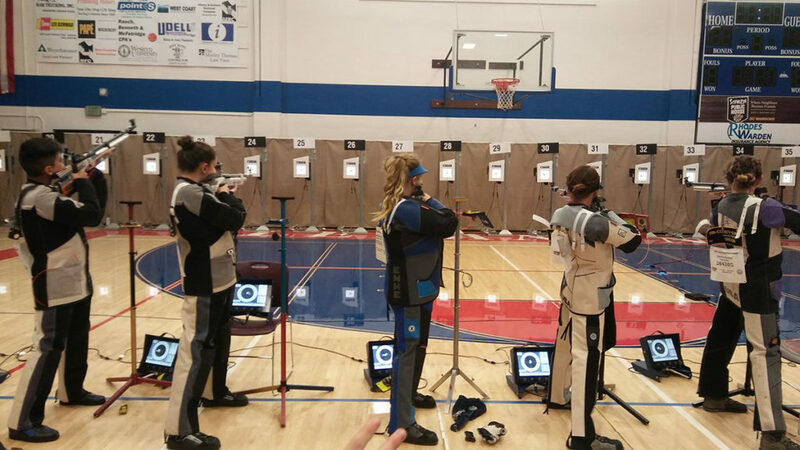 Each year, high school students gather at the CMP Summer Camps to train with real NCAA rifle athletes. 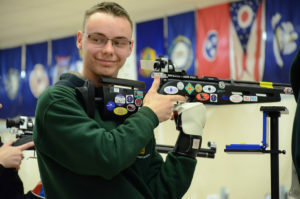 The camps are held around the country to allow better accessibility for interested athletes in a variety of areas, using CMP’s own mobile electronic target system. 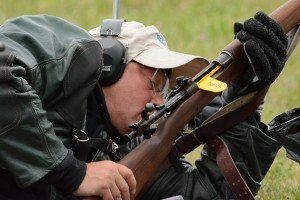 The fundamentals of the camp curriculum were originally designed by DCM Emeritus, Gary Anderson – a two-time Olympic gold medalist who is still active in developing the skills and knowledge of youth and adults in the world of marksmanship. Mr. Anderson’s teachings have been modified over the years to provide an adaptive course for the evolving generations. 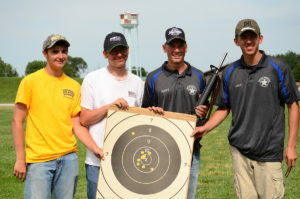 During the week-long camp sessions, juniors learn tips for both the physical and mental aspects of competition shooting. Topics to be discussed include proper positioning, goal setting, anxiety control and how to optimize equipment performance. 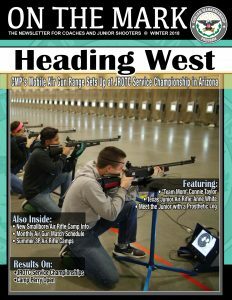 Campers will also take a look into competition and finals performance, learn leadership roles, how to build self-confidence on the firing line, along with an assortment of skills that can be carried from the range into every day life. 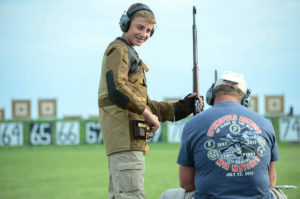 Campers are coached by qualified student athletes from the top NCAA rifle teams in the country – the majority of whom had participated in the camps themselves as juniors. These camp counselors will lead the juniors in discussions and drills during the camp in small groups where they are able to give each participant personal attention. 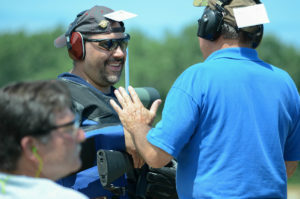 The week-long camps are a mix of verbal teaching in groups and hands-on training on the firing line. Other options outside of the week-long curriculum include the Advanced Standing Camps, designed to be a follow-up program for those who have attended one or more of the three-position camps or clinics. These camps elaborate in even more detail each individual’s strengths and weaknesses to better the athletes for future competition. More condensed Outreach Clinics are also scheduled in 2019, using paper targets instead of the electronic targets. 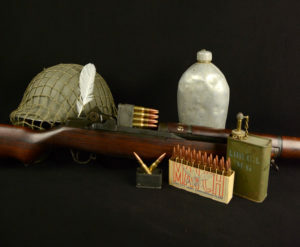 The instruction is nearly identical, with the majority of the week-long curriculum compressed into a three-day format. 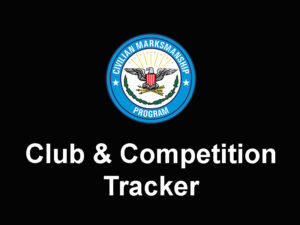 Each participating group or athlete must be accompanied by an adult leader (coach, club leader, parent, etc.) for the duration of the camp. 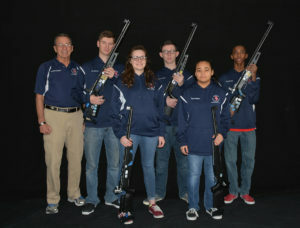 Recent high school graduates are not eligible to partake in the air rifle activities but may attend as an adult leader. Chaperones are to provide transportation for the campers each day and are encouraged to attend the coaching sessions in order to gain a sense of the outstanding education their athletes are receiving. 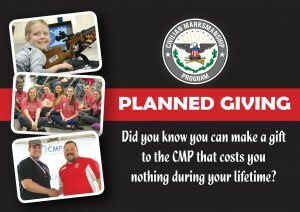 For a list of dates and more detailed camp information, visit the Junior Air Rifle Camps and Clinics page on the CMP website at http://thecmp.org/air/cmp-competition-center-event-matches/junior-air-rifle-camps-and-clinics/.